Your favorite brands are coming out with a few great running shoes to keep your feet dry all winter. Last weekend Team WR braved the wintry weather and traveled to Salt Lake City, Utah for the Outdoor Retailer Trade Show, a twice a year showing of all things “outdoor.” We made our way through aisles of down and flannel to get a look at the running gear we’ll be coveting come fall, including running shoes! From boot-style shoes to fast trail runners, there are plenty of enticing new shoe options to help you make the most of your run. 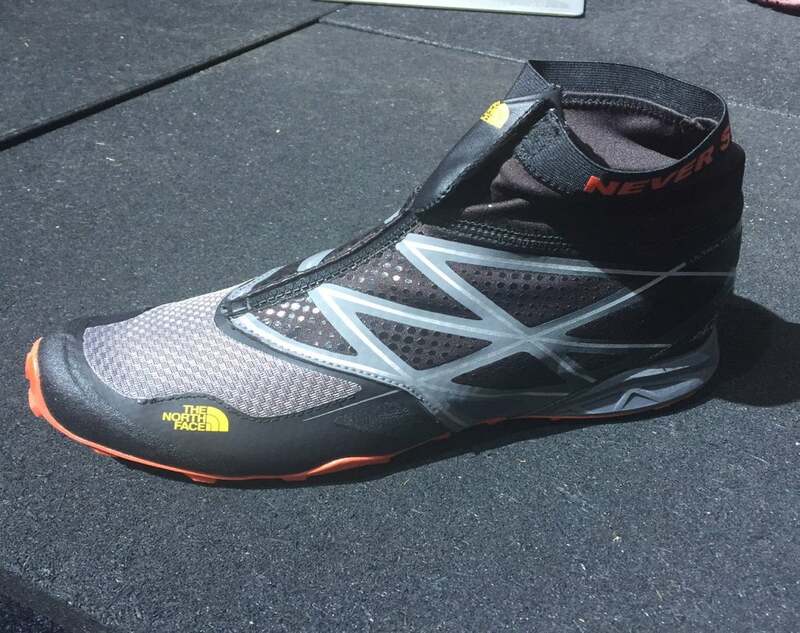 Lightweight, breathable and waterproof, we can’t wait to try these trail runners. Instead of having a traditional layered construction, the upper itself is made from a new waterproof yet breathable material from eVent. And fewer layers mean less weight. Designed to be top end of the Vazee line, this new shoe has a bootie construction and is meant to be fast, flexible and responsive. While its predecessor was more of a road/trail hybrid, the GOtrail Ultra 3 is all about hitting the trails. Lots of cushioning, drainage ports, grippy rubber on the tread and a more supportive upper all add up to a fun looking shoe. Even better, it releases this spring, so you don’t have long to wait. If you want a “go fast” trail shoe, this is definitely one to try. In addition to having a sticky grip, this model features a full-length propulsion plate for both energy return and under foot protection. 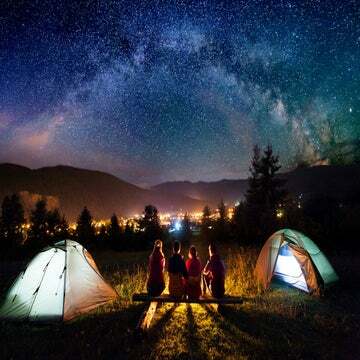 It will be available at REI in July. With a built in gaiter and ice gripping tread, these are going to be your snowy weather favorites. They are built on the Peregrine midsole with a foot-cradling upper and a quick pull lacing system. With a waterproof front, splash panel, built in gaiter and a breathable back half of the shoe, these will protect you from winter weather without causing feet to overheat. Are you noticing a trend yet? Trail tough shoes with built in gaiters are all the rage for this coming winter! This one has toe protection, crash pads around the ankles (for protection when running through rocks) and a breathable, water resistant gaiter. 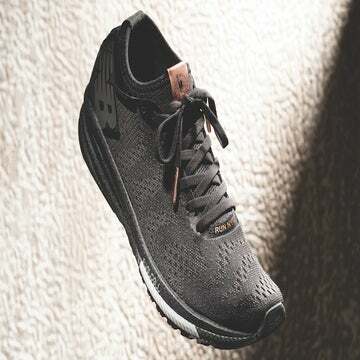 This neutral, all-around trail shoe has quick-pull lacing, durable upper fabric and plenty of cushioning on the tongue and around the heel cup. What we can’t wait to test is the tread—it’s made from Continental Rubber (yes, like the tires) and even uses the same lug pattern as a mountain bike tire. 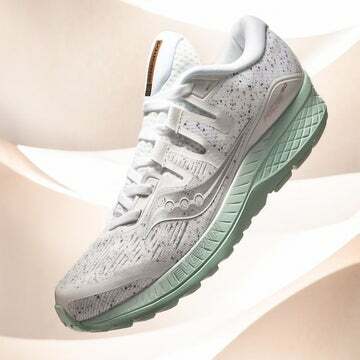 Already popular as a winter running shoe with it’s built-in, no-slip metal studs, the updated model is more narrow, for a less voluminous fit, and has a sleek, soft shell upper.